F-7102 Universal 4 Blade relay with mounting bracket. Multiple applications. F-51-0026B- Replacement relay for F-165-0018 flasher units. 5 Blades without mounting bracket. 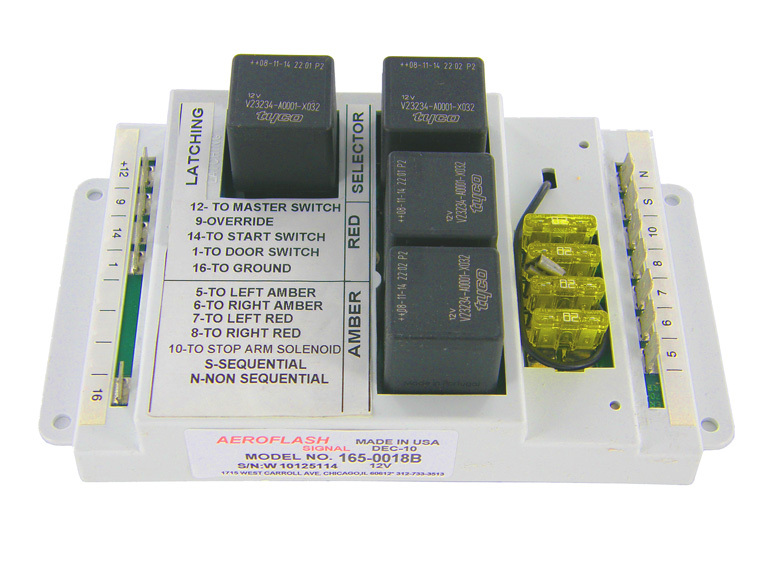 SO-3011 Replacement Relay used mainly on Stop Arms & Crossing Gates. Replaces SO-3010. 5 Blades with mounting bracket.